What does a Liquid Capital Corp. Franchise Cost? Deliver funding to your clients, with support from Liquid Capital. Discover an exciting alternative to traditional franchise ownership. 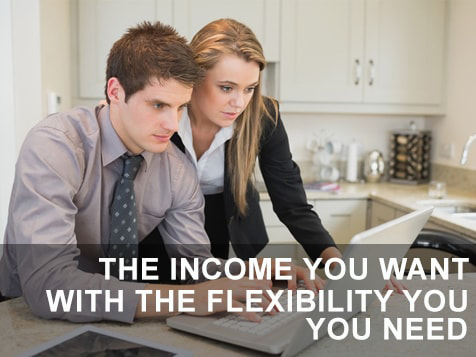 Bring your skills and let Liquid Capital deliver the ultimate balance of business independence and personal freedom. Benefit from Liquid Capital’s many years of financing experience, as well as its class-leading support and other resources to operate a home-based business in the financial industry. You'll also be able to collaborate with a corporate team of highly skilled specialists. The Ultimate Balance of Business Independence and Personal Freedom. At Liquid Capital, they understand what it takes for small and medium sized businesses to succeed – because they’re small business people themselves. The company is built on a network of locally owned and operated franchise offices; like-minded entrepreneurs just like you. Liquid Capital funds companies which want to grow their business with additional cash flow. They also offer a complete suite of receivable management services including credit checks, professional collections and online reporting tools. The business model is designed to handle the needs of small, medium and emerging middle-market businesses, while still delivering the resources and service capabilities of a much larger financial services company. This flexibility allows them to provide unmatched client service that is uniquely local, reliable and scalable. In 2013, there were more than $100 billion worth of factored transactions in North America and close to $3 trillion worldwide. Clearly, this is a large and rapidly growing area of opportunity within the financial services industry. Comprehensive marketing plan which is cost effective and proven to grow a healthy client base. Marketing collateral – Professionally designed, expertly targeted and made available online for customization and easy implementation. Advertising fund - implements national and regional programs to help build the brand while promoting benefits and awareness to local Principals. Dedicated Website – Each Principal is provided with a dedicated website including extensive resources for their prospective clients to draw upon. Also included is leading edge Search Engine Optimization (SEO) services both on a national and regional basis. Liquid Capital principals are highly motivated and enjoy the intellectual challenges that running a financial services business brings. They also find that a high level of personal integrity and all round professionalism are factors for success. Become a Liquid Capital Principal. Take the first step and complete the inquiry form to find out more.